Wainwright’s TV Walks (Second Edition) includes all the 17 walks shown on the television series, plus a bonus from the Outlying Fells, are covered in full in this handy book, bringing together more than 250 pages from the brilliantly revised and updated Second Edition of Alfred Wainwright’s Pictorial Guides. 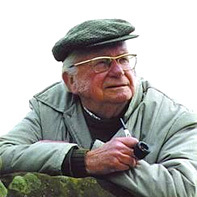 Alfred Wainwright’s old friend Eric Robson sets the scene for each walk with stories from the days he spent filming with the great fell-walker, adding his own personal impressions of the fell and the chosen ascent. Practical sections give the length of each route, the ascent in feet, the best O.S. map to take along, how to get to the start of the walk, and suggestions for the best route down. Freshly updated instructions and maps with the routes picked out in red, plus information on car parking and campsites. Here is all you need to get out and enjoy the Lakeland landscape – and who better to take along as your guide than the one and only Alfred Wainwright – much-loved British character and fell-walking legend.